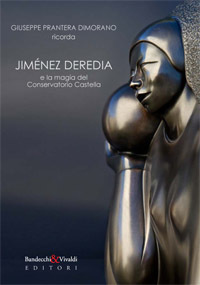 Book published on the occasion of the exhibition ” Deredia a Lucca_l’energia cosmica nelle sculture di Jiménez Deredia_”. The critical text is written by the reknown critic and art Italian historian ,Mr. Vittorio Sgarbi. 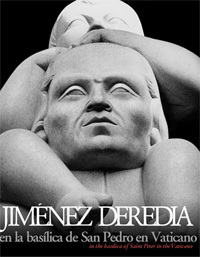 A Critical anthology with the most relevant writings on the work and the thought of Jiménez Deredia is included in the book. 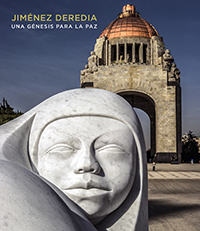 Book published on the occasion of the exhibition “Jimenez Deredia una Génesis para la Paz” held in Mexico City . The critical text is written by the director of the Casa Estudio Museum Diego Rivera and Frida Kahlo, Mr. Luis Rius Caso. 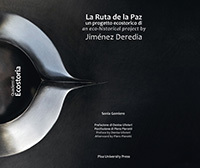 A Critical anthology with the most relevant writings on the work and the thought of Jiménez Deredia is included in the book. Book written by the philologist Maria Amoretti Hurtado. 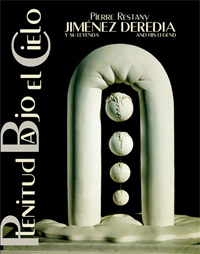 The book places the thought and work of Jiménez Deredia within the current trends of Latin American critical thinking. He carries out an analysis of the Costa Rican cultural identity and studies how to intervene in the current historical space. Maria Amoretti Hurtado describes how Deredia manages to intervene in the Costa Rican collective imagination with her cultural proposal and how it is possible to dialogue with the new Latin American cultural theory, thinking and dreaming big by a small Latin American country like Costa Rica. 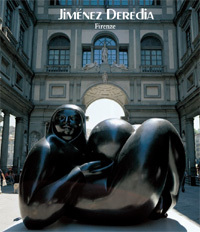 This 160-page volume illustrates the great exhibition of the Costa Rican sculptor in Sicily. Texts by art critics such as Enrico Crispolti, Pierre Restany, Antonio Aimi, Francesco Buranelli, Cristina Giammoro and journalists like Fabio Isman, and Geppe Inserra, introduce the work of Jiménez Deredia within the Contemporary Mito circuit. Trapani and Segesta are the scenographies that house the master’s sculptures documented in this book with over 60 photographs. 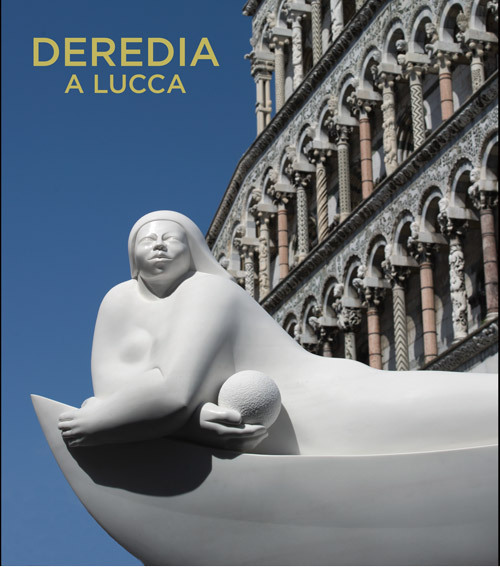 The unexpected meeting between the Costa Rican sculptor Jorge Jiménez Deredia and the ecostoria – a method of research that has been used for some decades at the University of Pisa – is the main theme that is narrated in this volume. The ecostoria, that is to say the history of “living”, allows one to study the civilization of all: including the civilizations defined as “without history”, but which in reality have been forgotten by official history. For this reason the project “La Ruta de La Paz” can be considered an economic action because it studies and incorporates from a contemporary point of view the ancient cultures of the American continent. 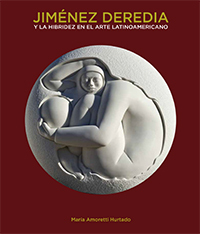 After the publication of the historical novel “Jacobinos”, edited by “Barbariccia & Cagnazzo editori”, the writer Giuseppe Prantera Dimorano gives us this delightful book on adolescence by the contemporary sculptor Jiménez Deredia. With his concrete and fluid style, at the same time familiar and refined, the Italian writer describes the fascinating life of a Latin American school in the period of its maximum creative splendor. 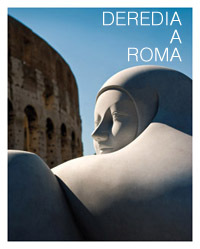 Book published on the occasion of the “Deredia a Roma” exhibition. The texts of the catalog are edited by Enrico Crispolti, Fabio Isman, Antonio Aimi, Cristina Giammoro and Francesco Buranelli. Cristina Giammoro analiza a través de la obra de Jiménez Deredia el nacimiento del Simbolismo Transmutativo. La Introducción de este libro está escrita por Enrico Crispolti, uno de los más importantes teóricos y críticos de arte italiano. 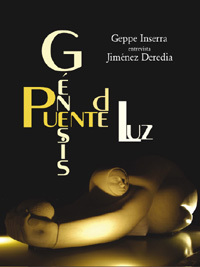 Volume published on the occasion of the exhibition in Florence “The Mystery of Genesis in the Sculpture by Jiménez Deredia” held from 14 June to 24 September 2006. The master’s works have been exhibited in the Boboli Gardens, in the Limonaia dei Giardini di Boboli, in Palazzo Pitti , in the Piazza della Repubblica and in the Piazza of the Uffizi Gallery. The book contains texts by Antonio Paolucci, Fabio Isman and Litta Medri. 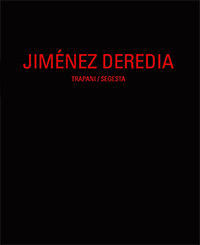 A publication that analyzes in depth the philosophy of Jiménez Deredia, interviewed by the philosopher Geppe Inserra. It contains texts by Geppe Inserra, Mariano Loiacono, Maria Amoretti Hurtado and the famous art critic Pierre Restany. One of the last publications of the theoretician Pierre Restany, founder of the artistic movement “the new realism”. 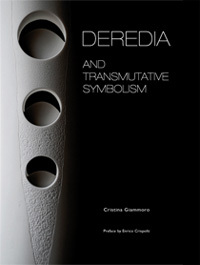 The scholar provides an original portrait of Deredia analyzing his works, his life and his thought, describing an artistic evolution linked to symbolic motifs and ancient philosophies enriched by cosmological theories. On the occasion of the inauguration of the statue of San Marcellino Champagnat, commissioned to Deredia from the Fabbrica di San Pietro in the Vatican, the book that illustrates the development of the project and which reconstructs the life of the Saint was published. The sculpture in white Carrara marble, is located in one of the external niches designed by Michelangelo Buonarroti for the Basilica of San Pietro in Vaticano and represents the first work of a non-European artist placed in this place of exceptional historical, artistic and religious value.